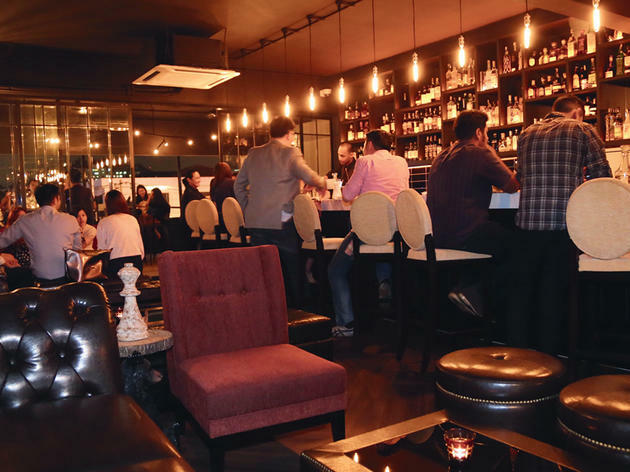 Finally, another speakeasy in KL – well, in PJ to be precise. Andrew and Caroline of The Good Batch are the duo behind this new joint. It’s hiding on the second floor behind a black sliding door, which makes it feel like an early ’20s speakeasy – it seems like something out of ‘The Great Gatsby’. The interior looks classy with its marble-topped bar and comfy cushioned seats, and there’s classic jazz playing on the speakers. It’s stylish, but not overly so; Andrew tells us you can just be yourself here. Did we mention they also have a secret room that fits eight to ten people? Definitely good for groups that want some privacy. They currently have over 100 drinks on the menu with the finest selection of champagnes, wines, single malts and your usual liquors. 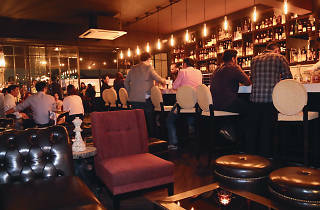 As for the cocktails, they have the classics as well as some modern twists. The Old Fashioned served with an ice ball and dehydrated orange is a winner – it’s manly and smooth, and the bourbon gives it just the right amount of kick. The cocktail menu changes regularly so you’ll get to taste something different every time. It’s not too crowded at the moment, so if you want to avoid busy places, Hyde is the answer. Drinks are priced slightly above average but it is worth what you pay. Ordering off the menu is completely normal - you can describe the kind of drink you like which the bartender will be able to cleverly mixed something up for you. Really good service and great stuff overall!